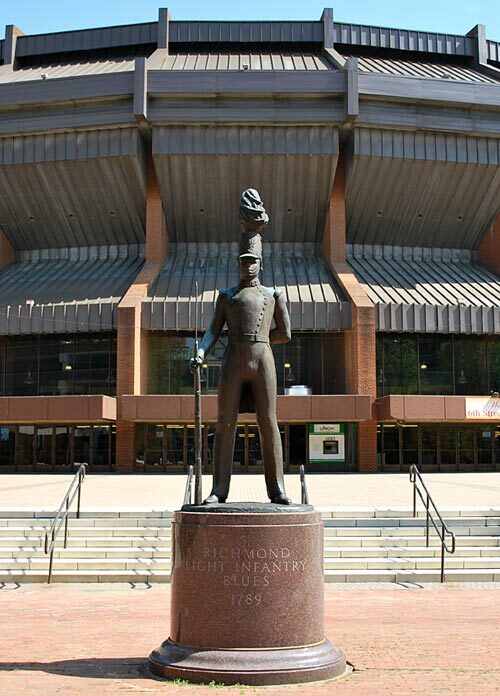 WHAT: Richmond Light Infantry Blues statue in Festival Park in downtown Richmond, Virginia. LOCATION: 500 block north 6th Street in the Plaza of South Concourse between the Richmond Coliseum and 6th Street Marketplace. 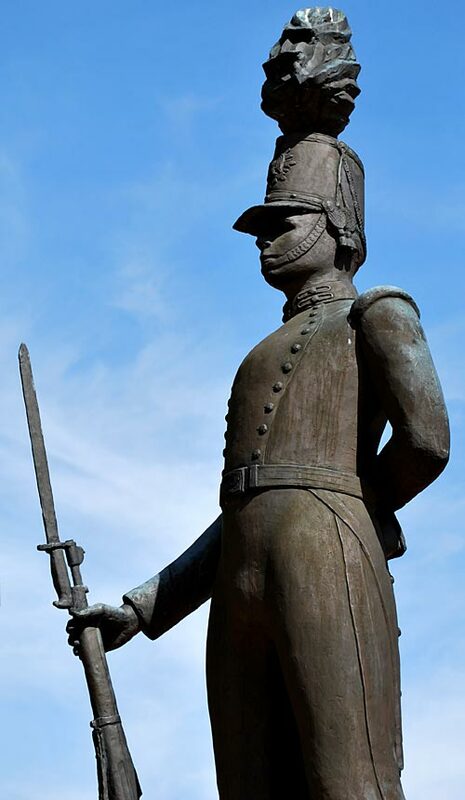 DESCRIPTION: A 10 foot high bronze standing figure of a soldier at parade rest in the Blues’ uniform with shako hat and feather plume. The soldier is holding a 1903 Springfield rifle and is mounted on a cylindrical granite base. The statue is a memorial to the National Guard United founded in 1789. The Blues fought in the War of 1812, War Between the States, Spanish-American War, Mexican Border Campaign, World War I and World War II. I leave a response when I like a article on a website or if I have something to valuable to contribute to the conversation. Usually it is triggered by the sincerness communicated in the post I browsed. And after this post. I was actually excited enough to post a comment 🙂 I actually do have a few questions for you if it’s allright. Is it just me or do some of these comments come across as if they are coming from brain dead individuals? 😛 And, if you are posting on other online social sites, I would like to follow you. Would you make a list the complete urls of all your community pages like your Facebook page, twitter feed, or linkedin profile?